Are you looking for a commercial coffee machine but not sure what type you need? Here is our full range of coffee machines, from instant to bean-to-cup to traditional espresso machines. A commercial coffee machine can bring so much to any organisation, whether that be an office for employee satisfaction, a factory for a quality hot drink at a reasonable price, a hotel to provide delicious coffee to their guests or a car dealership to enhance the customer experience. We will help you every step of the way from first, free consultation to installation and training to service and support. If you are a coffee shop or café we have a wide range of point-of-sale items to help promote your hot drinks offering. A bean-to-cup coffee machine, perfect for high use with the ability to make two drinks at once, along with an output of 250 cups per hour. A compact bean-to-cup coffee machine perfect for an office or small to medium volume site. With the ability to pour two drinks at once and 140 cups an hour. 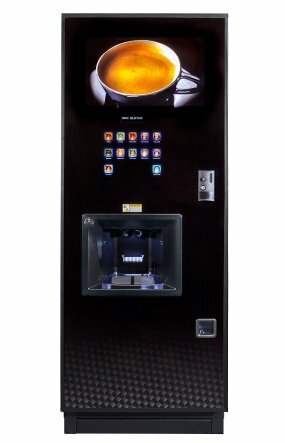 A fully automated bean to cup coffee machine with the ability to service high volume sites. The La Spaziale S5 3 group traditional espresso machine brings you unique cutting edge technology paired with handmade Italian beauty. 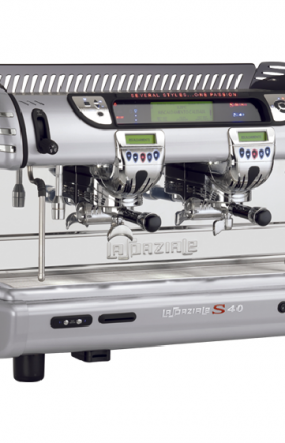 The La Spaziale S5 2 group traditional espresso machine brings you unique cutting edge technology paired with handmade Italian beauty. A fully automated bean to cup machine with the added extra of freshly brewed loose leaf tea. Perfect for any high volume site. 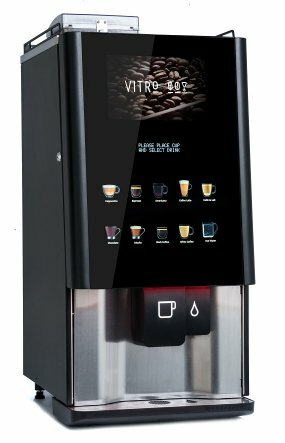 A quick and compact instant coffee machine which offers an extensive range of coffee shop style drinks, in the comfort of your own office. 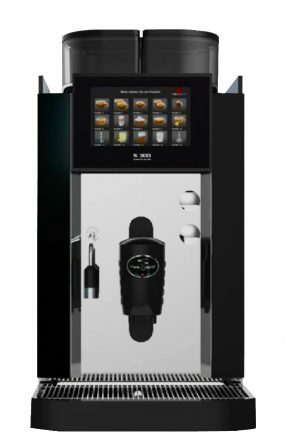 The Flavia 500 machine blends stylish design with enhanced drinks and menu display options making it easier than ever to create and enjoy the perfect brew. 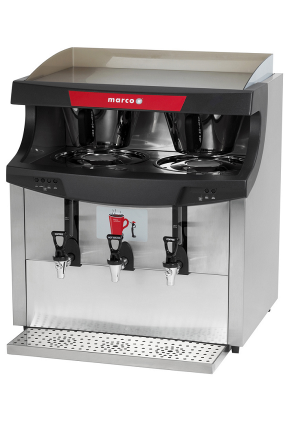 The Marco Jet is an industry leading coffee grinder and brewer, ideal for hotels, busy cafés, restaurants and canteen environments. 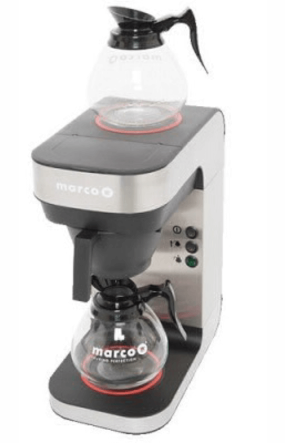 The Marco Jet Twin is an industry leading coffee grinder and double brewer, ideal for hotels, busy cafés, restaurants and canteen environments. The Quikbrew range has an attractive stainless steel design, perfect for any catering, hotel or restaurant environment. The Quikbrew Twin range has an attractive stainless steel design, perfect for any catering, hotel or restaurant environment. With the ability to do either half or full brew, meaning full flexibility. The NEO Espresso machine offers you the authentic Italian style espresso coffee, along with an extensive range of coffee shop style drinks, all in the comfort of your own office. A state of the art, fully automatic incup machine for larger volume locations. The Vogue’s crisp, modern styling is achieved by the extensive use of stainless steel and deep gloss piano black finishes. 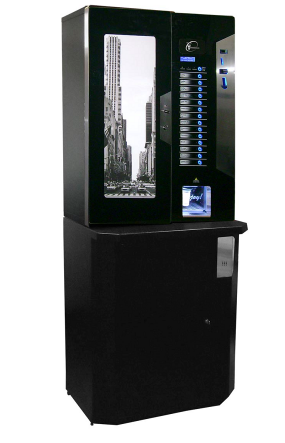 The Voce MEDIA is a free standing coffee vending machine that offers an extensive range of quality coffee shop style beverages at the touch of a button. Why not speak to the team to place an order or get a bespoke quotation?